Our award-winning Aveda Concept Spa — the only full-service spa in the Okemo/Ludlow region — features six private treatment rooms in the historic carriage house on the grounds of the Castle Hill Resort. Enjoy a variety of treatments and services designed to help you relax and rejuvenate. 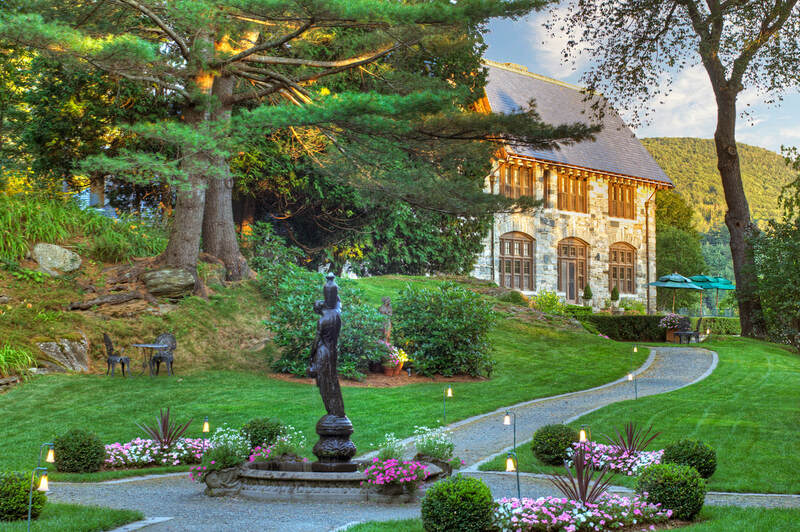 The timeless, romantic Castle Hill Resort and Spa is one of the most unique and memorable wedding venues in Vermont. In the elegant mansion or on the lawns, our collection of wedding venues offers a classic New England country backdrop for your special day. 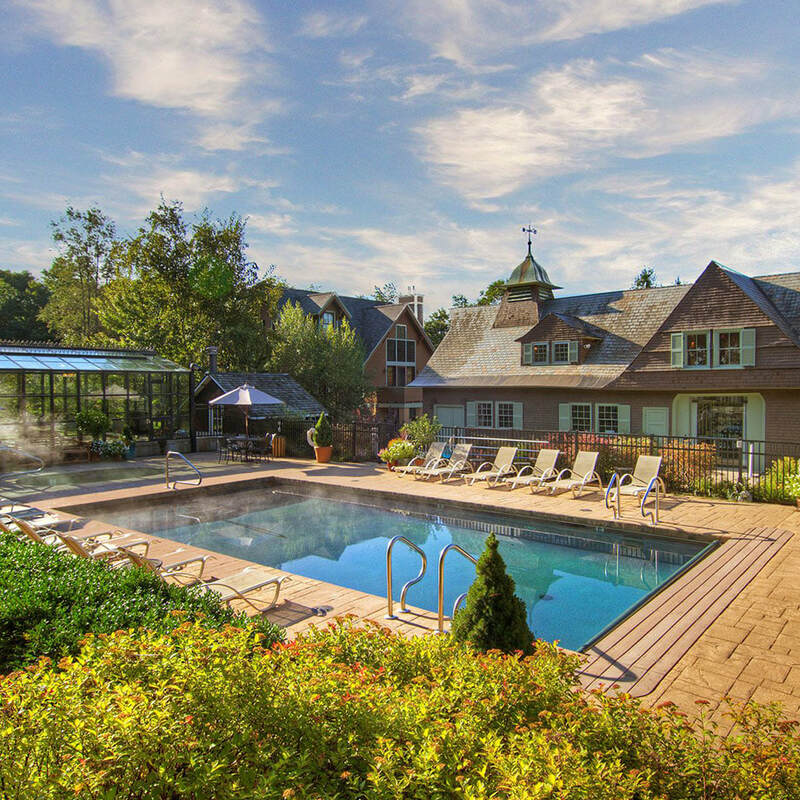 Castle Hill Resort and Spa is one of the most elegant and romantic luxury resorts in Vermont, with a timeless, Old-World charm surrounded by beautiful gardens and the majestic pine forests of the Green Mountains. A member of Historic Hotels of America and listed on the National Register of Historic Places, our Inn attracts couples and groups seeking cozy rooms with wood floors, superb dining and exquisite amenities that include a pool, an award-winning spa and an enchanting Library with a piano and fireplace. 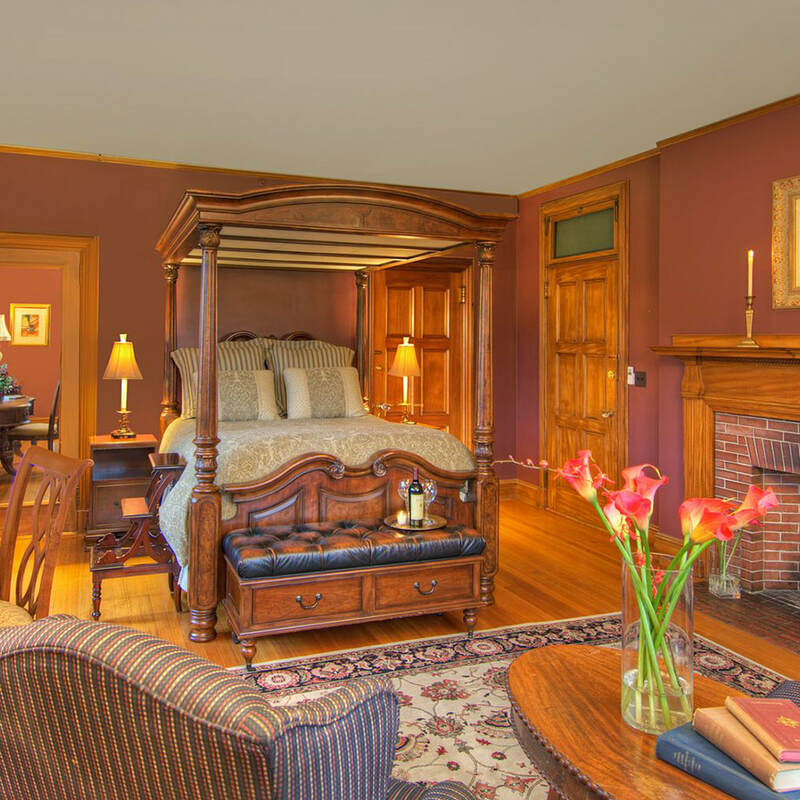 The Historic Mansion features 10 individually decorated guest rooms. Also on the resort grounds, the condominiums feature one, two and three bedroom layouts with spacious living areas and gourmet kitchens. Relax by our heated outdoor pool. All are welcome to enjoy cocktails by the fire in the Castle library. Escape to a world of wellness at the Aveda Concept Spa, featuring indulgent spa treatments, a state-of-the-art fitness center, private classes and personal training and a heated outdoor pool and hot tub that are open year round. On your next trip to Vermont, discover the classic New England splendor, romance and delight of Castle Hill Resort and Spa. The Historic Mansion features 10 individually decorated guest rooms. Also on the resort grounds, the condominiums feature152 Castle Hill Drive rooms at the castle to highlight.having them made up without prices right now. We can have the one with pr one, two and three bedroom layouts with spacious living areas and gourmet kitchens. Relax by our heated outdoor pool. All are welcome to enjoy cocktails by the fire in the Castle library. Escape to a world of wellness at the Aveda Concept Spa, featuring indulgent spa treatments, a state-of-the-art fitness center, private classes and personal training and a heated outdoor pool and hot tub that are open year round. Escape to Vermont and enjoy all that the historic Castle mansion has to offer. 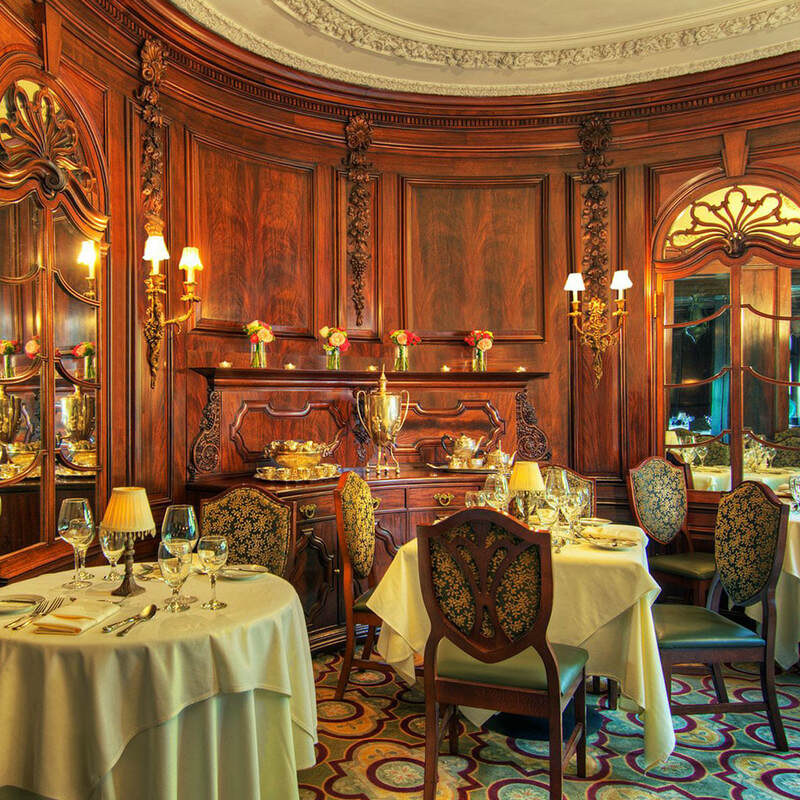 Beautifully appointed, historic guest rooms await you, and an unforgettable dining experience is yours to be had. This package includes lodging in the Castle mansion, Dinner for two in the Castle Restaurant and a $25 discount towards a 50 or 80 minute massage. Visit our sister property, The Pointe Hotel. The 70 guest rooms and 26 suites are designed to offer a cozy home away from home in the scenic Green Mountains. Among the most relaxing, affordable and family friendly modern hotel.